How to start a research that aims at identifying and describing Facebook’s strategies in mapping our desires? When dealing with such a huge network of data, tools, categories and involved parties, it does not take much to get lost. Our preliminary intuition was to have a look at and register the most basic entry points: the tools that Facebook makes available for advertisers and developers. Facebook’s tools for developers include Products, SDKs and APIs. Through APIs, a developer is able to retrieve, save or delete data, assuming that the required permission for that is granted by the user to the developer’s app. 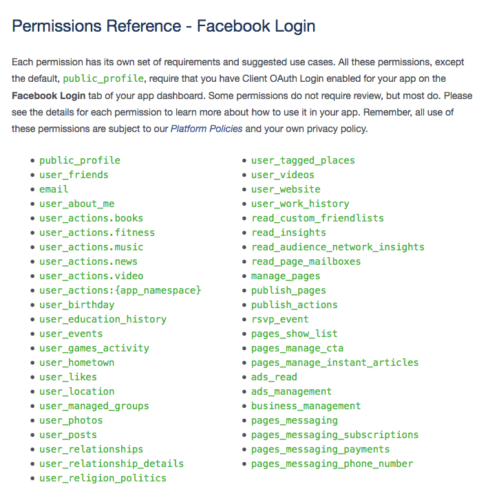 The entire ecosystem of Facebook API’s revolves around the Graph API. Named after the social graph, it is the primary way to get data out of, and put data into, Facebook’s platform. The basic components of this API are nodes, edges and fields. Components apply to user, page, post and profile (which can be user, page, group, event, application). Those “things” could also be called “objects”, if one were to use programmatic language. 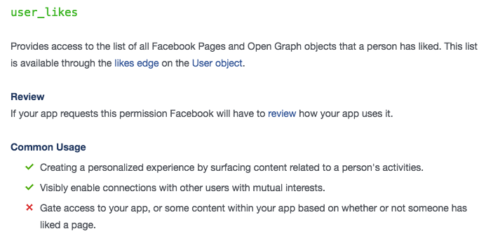 Facebook provides a quick way to interact with the Graph API and have a glimpse of data as objects, i.e. in JSON format: the Graph API Explorer. Log in, authorize the app and select the permissions you grant to it. and possibly other objects, such as “story” (interactions involving this object, such as sharing). One point that will be further investigated, certainly, is the creation of target audiences, as already mentioned by Lídia. There are two ways of defining who will see an ad. With targeting, the admin provides attributes of the audience (such as age, or location) and Facebook will deliver the ad to users that meet those attributes. With audience, the admin builds a group of people who see the ad. Other API’s, such as Atlas and Ads Insight, were also – briefly – investigated but at this point it does not seem that they have many insights to offer concerning the main objective of this research. Here one can find the research clusters containing the backbones of Facebook’s AI machinery. Publications and code are available. Topics: Applied Machine Learning, Data Science, Human Computer Interaction – UX, Systems & Networking, Connectivity, Economics & Computation, Natural Language Processing & Speech, Virtual Reality, Computer Vision, Security & Privacy, Facebook AI Research (FAIR). A deeper look at this material can be revealing, but should probably be done at a later stage.